The Bronx earns J. Lo some Motown street cred, according to the icon. 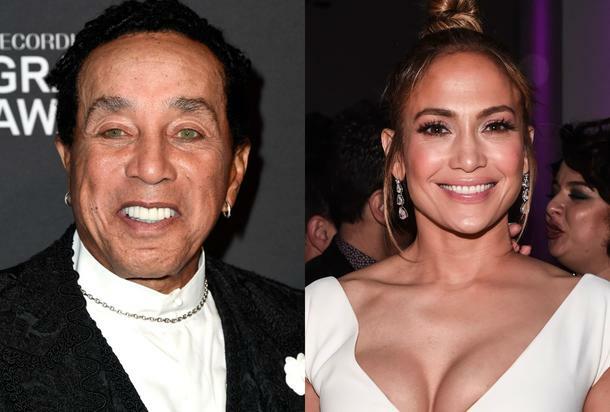 Jennifer Lopez is set to perform during tonight’s Grammy Awards show in a tribute to Motown. Many music lovers questioned the selection considering how a number of talented artists who have a deeper connection to the Motown sound could have bodied this concept with more ease. There was also objection due to fact that the ceremony is held during Black History Month. The Grammy’s skipped an opportunity to honor Black culture properly by tapping J Lo for the act. Still, the singer finds a pertinent ally in Smokey Robinson. From the Motown icon’s perspective, the hate is unwarranted. “I don’t think anyone who is intelligent is upset,” he told Variety. “I think anyone who is upset is stupid.” He goes on to cite Jennifer’s upbringing in “her Hispanic neighborhood” as a testament to her credibility. Being Jenny from the Bronx block isn’t his point, however. He deems Motown as artistry that is made for all to enjoy.